All spaces have full hookups, including 30 & 50 amp electric, full water and sewer, free WiFi and basic cable. We can accommodate big rigs with room for slides. Santa Barbara is situated on the longest stretch of south facing coastline on the west coast. With its temperate weather and topography, it has often been called the American Riviera. It is home to miles of sandy beaches and many rich cultural and historical sites. It offers some of the most delectable cuisine in California, a host of fine wine tasting boutiques, and a variety of shops to tantalize every style and budget. Take Salinas Street exit (#95), and the park is on your immediate left. Take the Hot Springs exit (#94B). This is a LEFT LANE EXIT. Turn left at the stop light ,and return to the 101 freeway Northbound. Take Salinas Street exit (#95), and the park is on your immediate left. If your reservation is for Site 1-8 or 18-21, please take the first driveway entrance to the park marked Restricted. All other sites, please use the second driveway entrance marked Main Entrance. The only RV park located in the city of Santa Barbara. We offer convenient, comfortable RV sites and friendly, dependable service. countless treasures and oodles of activities. Located in the city of Santa Barbara, you can enjoy convenient access to all of the delights our enchanting town has in store. Miles of scenic beaches, captivating historical sites, numerous outdoor activities, an amazing array of restaurants and wine tasting, and a shopping experience that will satisfy every taste and budget. Our location is at Highway 101 & Salinas Street. That means we are adjacent to the freeway. A 12 foot wall offers a sound and sight buffer, but you can hear some traffic. That’s a fact. There is a city bus stop just two blocks from the park, and the Waterfront and Downtown Trolley is just a 20 minute walk away. 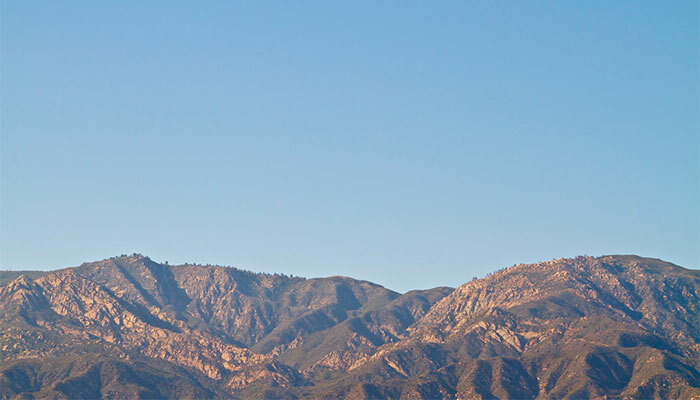 Learn more about the Santa Barbara area. 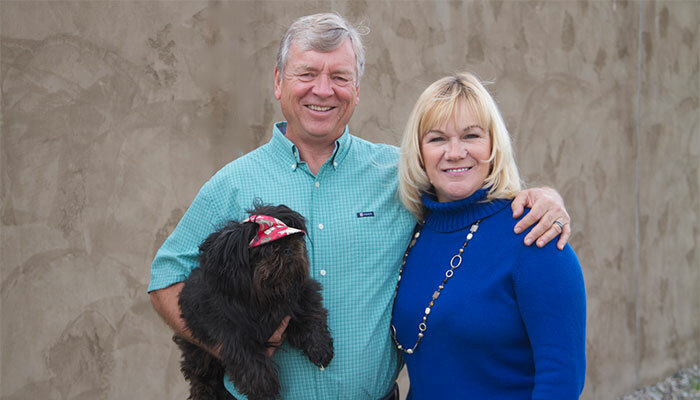 Debbie and Terry and their friendly little dog, Moe, enjoyed several years traveling the US in their RV before settling here in sunny Santa Barbara. Together they bring many years of friendly, professional experience and will do everything they can to make sure Santa Barbara Sunrise RV Park is your perfect base for exploring Santa Barbara. Contact Us for more information or to make a reservation by email or phone.